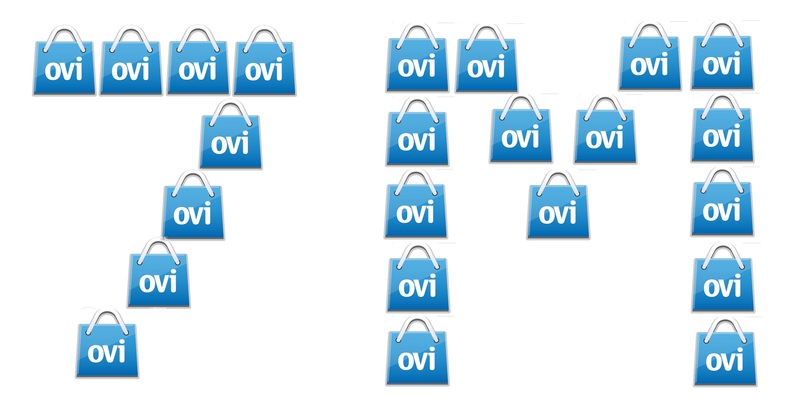 In the time it took between our first tip today and our last about Ovi Store downloads, the numbers went from 6.5M to 7M downloads a day for Ovi Store. The rise to 7.62M downloads was attributed to removal of registration and login requirements for free items in the mobile web channel. This surpasses the previous record by 840,000. That’s around 2.78 Billion a year if Nokia maintains (and Ovi Store doesn’t grow). India saw the largest increase in downloads, tripling the download count becoming the top country by downloads from mobile web channel.